The high-quality insulation board Kooltherm cavity wall insulation board K8 of Kingspan Insulation has the highest insulation value of Kingspanshop and is very suitable for insulating your home or passive energy-neutral home. 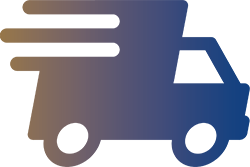 The Kooltherm K8 cavity wall board has a lambda value from 0,020 W / M K, this means to you maximum isolation against small thickness at a competitive price. The Kooltherm K8 cavity wall insulation board assures very high insulation values at a small thickness. You save valuable space compared to traditional insulation. In addition to the excellent insulating properties of the wall cavity insulation board K8 Kooltherm rigid phenolic foam board includes the Kooltherm K8 insulation board of a fiber-free core and features the DuBo mark. The Kooltherm K8 cavity wall insulation board is one of the few insulation with this label. Only the most environmentally friendly materials feature this DuBo mark! By enduring thermal efficiency, good insulation properties and low weight, the Kooltherm K8 board easy to handle and assemble. 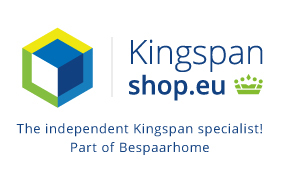 Kingspanshop assured that Kooltherm K8 cavity wall board insulation suitable for sustainable renovations, yóur construction project to low energy or your passive house project. Kingspanshop opts for quality and maximum efficiency, Request a quote for large quantities. We help and advise you! Pay less and sustainably enjoy do you do at Kingspanshop! 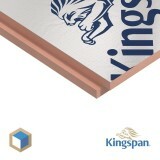 Kingspan Kooltherm K8 cavity wall insulation board There are 15 products. Kingspan Kooltherm K8 Cavity wall board gets you high RC values and low lambda values at low thickness. The Kooltherm K8 cavity wall board is a right choice for any durable insulation project. One pack Kooltherm K8 95 mm thick consists of 5 plates total 3.6 M2. Maximum efficiency with Kooltherm K8. We deliver throughout Europe Large numbers of? Get a Quote! Kingspan Kooltherm K108 Cavity wall board gets you high RC values and low lambda values at low thickness. The Kooltherm K108 cavity wall board is a right choice for any durable insulation project. One pack Kooltherm K108 45mm thick consists of 11 plates total 7,92 M2. Maximum efficiency with Kooltherm K8. Large numbers of? Get a Quote! Kingspan Kooltherm K108 Cavity wall board gets you high RC values and low lambda values at low thickness. The Kooltherm K108 cavity wall board is a right choice for any durable insulation project. One pack Kooltherm K108 55mm thick consists of 9 plates total 6,48M2. Maximum efficiency with Kooltherm K108. Large numbers of? Get a Quote! Kingspan Kooltherm K108 Cavity wall board gets you high RC values and low lambda values at low thickness. The Kooltherm K108 cavity wall board is a right choice for any durable insulation project. One pack Kooltherm K108 64mm thick consists of 9 plates total 6,48 M2. Maximum efficiency with Kooltherm K8. Large numbers of? Get a Quote! Kingspan Kooltherm K108 Cavity wall board gets you high RC values and low lambda values at low thickness. The Kooltherm K108 cavity wall board is a right choice for any durable insulation project. One pack Kooltherm K108 75mm thick consists of 8 plates total 5,76 M2. Maximum efficiency with Kooltherm K108. Large numbers of? Get a Quote!